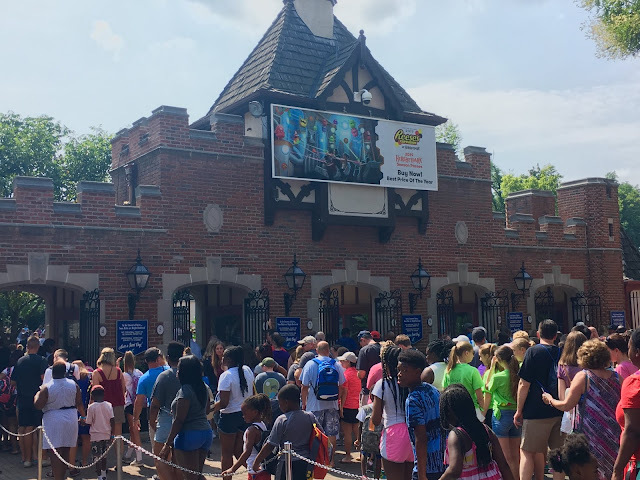 Today head to the mid west to check out the all new Justice League: Battle for Metropolis 3D Dark Ride at Six Flags St. Louis! 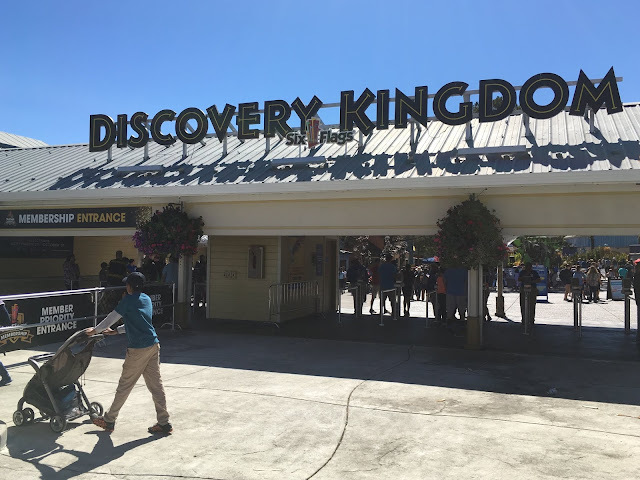 Billed as one of 2015's top New Attractions, this Interactive Motion Based Dark Ride ushers a new form of entertainment never before seen in the Six Flags chain of Parks. TPO was there at the Grand Opening Ceremony to be among the first riders of this incredible new attraction! 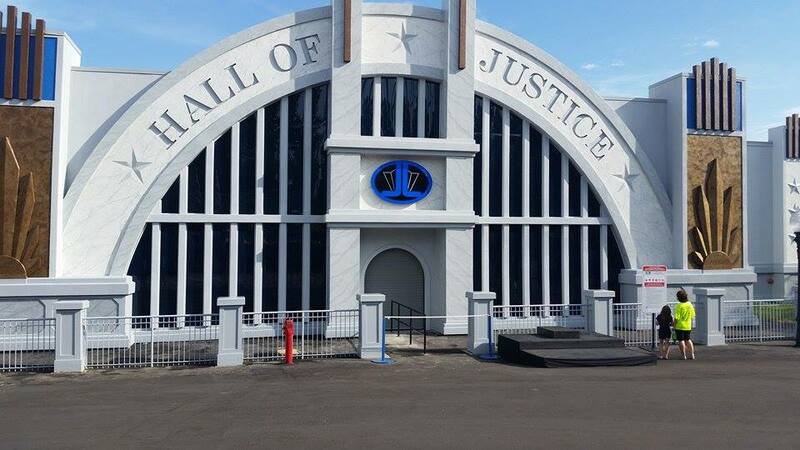 Welcome to the Hall of Justice! Park President Dave Roemer posed with the Justice League right after the opening ceremony concluded. 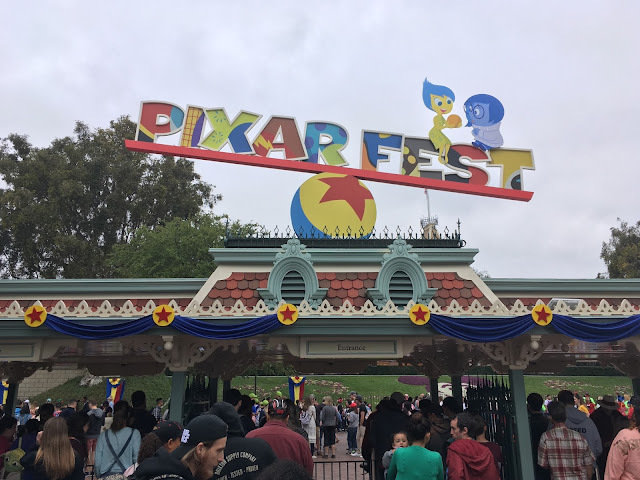 This ride is unique to a Six Flags park, as it is their first venture into modern dark ride technology. Above is one of the two Animatronic figures located in the attraction, which feature very life like movements and actions. This guy greets guests with tide instructions near the loading platform, and further adds to the realism and production quality of this incredibly themed attraction. The motion platform these cars operate on feature a wide range of possible fluid motions and actions. They are similar to the fantastic ride vehicles used on Transformers: The Ride 3D at the Universal parks. Check out the other Animatronic, the Joker himself! This one figure alone is a symbol to how far Six Flags has come by bringing modern age entertainment into their generally coaster-centric parks. Laughing gas (Fog) is shot out as riders pass by. Clearly, Six Flags has hit a home run with this new attraction. Hopefully we'll see them implement clones at their parks around the country! That's all for now from Theme Park Overload. "LIKE" our Facebook page to gain access to Exclusive Park Content! www.Facebook.com/ThemeParkOverload My name's Nicholous, and Thanks for Reading!